to connect your Atlantik V4 and Atlantik Compact (Gen 2 ) unit(s) to the ethernet & internet. Orphek Gateway 2- IoT. automatically connect multiple Atlantik V4 2018 series LED lights to your network and makes this process as simple as pressing a button. Only the Atlantik V4 and Atlantik V4 Compact from 2018 can be connected to the Gateway 2! Older versions of the Atlantik series need to have its Wifi module replaced. WHY DO I NEED ORPHEK MASTER GATEWAY 2 ? 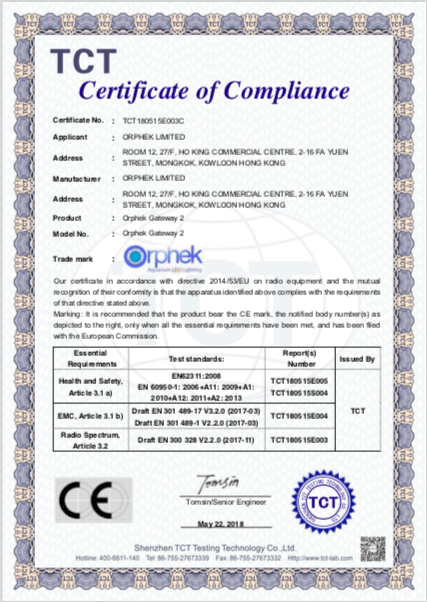 If you have purchased or wish to purchase Orphek Atlantik unit(s) with IoT technology it is because you want to program, control, and monitor your light(s) from your cell phone or tablet, any time and any place you are in the world, where internet access is available! You will need the Orphek (IoT) Master Gateway to connect your unit(s) to the internet. Think about the Gateway 2 as private cloud /server. The Gateway can store a program for up to 200 units, and each one could have a different program, The Gateway also acts as firewall and uses internal protocol to talk with your light, so there is no access to your network! Here is how it works. The Gateway talks with the light via internal protocol called long tooth which is simioar to blue tooth but it’s range extends up to 40 meters in an open room. This is private protocol and only the Gateway can talk with the unit and this is why need the Gateway. You cannot connect to the Gateway directly from your phone so you must connect the Gateway to the router. The phone/tablet talks to the router and then the router passes the information to the Gateway then the Gateway converts the information to internal protocol and talks to the light(s). In this regard the lights are not part of your network. Security is very important these days! What if the Gateway is shut off ? If gateway is shut off, the program in the light will continue to operate. Mobile phone App sets: time, intensity and other parameters and sends to the gateway and wifi module. Time and intensity data for the program that is sent to the light are stored in the wireless module program flash memory located on the PC card in the light. If you close your phone app the program sent to the light will also continue to work. If the gateway is powered off, the choose program or function list will be lost. With power on the gateway with Ethernet cable connected you can choose the program you want to send to the light from the phone app. So with the gateway off or a gateway failure, only the program in the light will operate. WHAT ORPHEK PRODUCTS CAN BE CONNECTED WITH THE ORPHEK MASTER GATEWAY 2? HOW DO I DO THE CONNECTION? 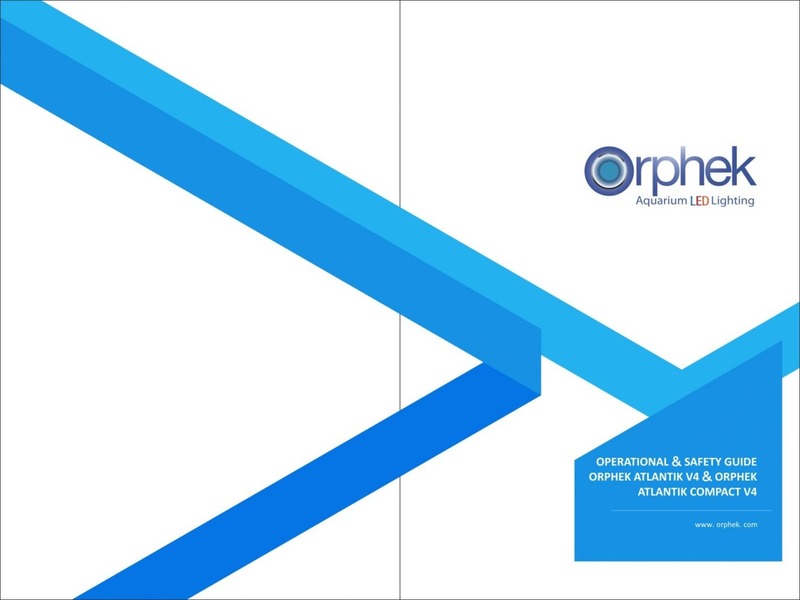 The Orphek Gateway 2 provides a means to automatically connect multiple Atlantik v4 LED lights to your network and makes this process as simple as pressing a button. 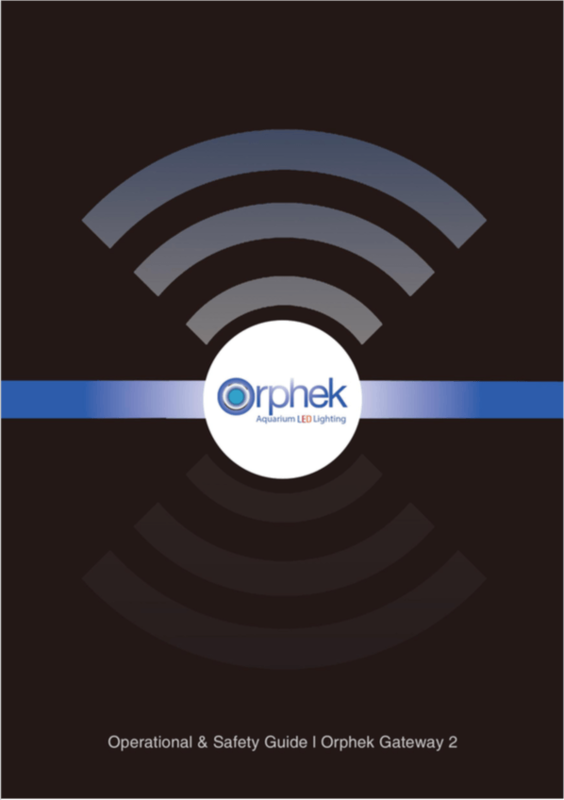 The Orphek application connects directly to the Gateway from any location where 3G, 4G, and wifi service is available and will allow you to edit, program, and monitor your lights in real time from any location where the above services are available. I HAVE MANY UNITS, HOW MANY CAN I CONNECT WITH ONE GATEWAY? One Orphek Gateway has the ability to control and program 200+ individual units!